We learned that you will be in Amsterdam 7 april speaking at the G10 Conference on Economy and Philosophy. We will be there too. Following up on our previous contact at the Nexus Conference and a short email exchange on Heidegger, we would like to invite you – again – on a discussion on a Dutch 4PT. You will be more than welcome in The Hague our residence, to exchange thoughts. Perhaps we can meet on the 7 april, after the conference or on another day. As a proposal to talks a few words on Heidegger and questions concerning a Dutch 4PT. We bring it in the form of a series of observations and remarks. We studied the 4PT site which is interesting, though Dutch contributions are scarce. We were pleased to see the Dutch historian Johan Huizinga quoted who wrote a world famous book a the Waning of the Middle-Ages, but also a less well-known piece on ‘Man and crowd in America’, stating his bewilderment when visiting America, to hear the phrase ‘ why not?’ , foreseeing the implications of the ‘ anything goes’ culture. Having read your poeto-political manifesto ‘ The Rise of the 4Th PT’we gain a little more insight in your line of thoughts. Especially attractive to us is the proposal for a poeto-philosophical inspired political theory based on thoughts of Heidegger and Schmitt. We think that for a Dutch 4PT special attention has to be drawn to the phenomenon of language as it was put by Heidegger. But also to the question of land and see, as put by Schmitt. The charm of your 4PT is that it does not loose itself in meticulous academic receptions of Heidegger themes or conservational interests in that which is gone forever when given back its freedom outside a museum. Your actions following up on Heidegger are surprisingly vital. Your piece on the Monroe doctrine and Schmitts Grossream theory concerns us Dutch deeply. The refugees, fleeing the Leviatan with a ship called the Mayflower, went overseas and came back to us in the form of a mutated Leviatan. After all it was here in Leiden, Rotterdam and Den Haag that the first Atlanticists set out for settlement overseas. It is revealing to hear what Schmitt says on the role of Spinoza in this respect in his work on the Leviathan. We assume you know it. With Heidegger, Schmitt and Junger we know that the road ahead is long and bumpy and most of all – it starts in what we say and do. Speaking about a road or a way, we should pay attention to the late Heideggers conception of work: ways not works, ‘Wege nicht Werke’. It has to be taken seriously, because this is not fatalism, but concerns the relation between languange and metaphysics. Poems, singing are also a way of living. In short we may state that Dutch language from 1945 on has been anglicized, has become a management jargon, through the influx of Atlantic overpower in an economic sense. The effect of this has been – in our view - the total collapse of Dutch ‘paideia’ as that has been built up from the seventeenth century on. Education had been liberalized and came back as a technical issue. A problem is that Dutch politics in the postwar period has been anglicized as well. All political matters have become matters of maintaining the economical advantage. Other than your Russian experience fighting ‘your own war’ , we did not fight ours. So we became literally indebted. The Marshall plan did the trick to turn us in a consumer nation. After the sixties popular music became a different form of liberalization. A second liberation that after the music went home began to feel as an imprisonment. Though in Dutch folksongs the old liberals who roamed the Atlantic seas can still be heard. We say Dutch – meaning the Netherlands – but of course there are great and deep differences between Holland and the rest. Holland being the home of the VOC the United East Indian Company, and the eastern provinces that have a much more agrarian tradition. A geo cultural fault line runs through the Netherlands, dividing Atlantic and Eurasian influxes of cultures. Right through the Netherlands runs a line of villages that are called the bible belt. Till this day this plays a role in Dutch politics, without the historical background of this being recognized. We feel that 4PT might play a role in bringing Dutch history back in politics. We feel that as the most anglicized – or may we say atlanticised – country on the European mainland our experiences in politics have a special place. We also feel that this loss of language accompanies the loss of culture, tradition and education: which means: future. Perhaps more than in other countries we struggle to get young people ‘back in play’, after having lost their roots in families, regions, neighborhoods and schools. Liberalization meant all forms of segregation. Old from young, male from female, teacher from student. The migrants are the least segregated of all. To the Dutch people, liberalization came in the nineteenth century with promises, but after WWII with a big price. Materially we are very well off, but the country and its ingenious well-meaning inhabitants threaten to become the engineers of a logistic nightmare. Fortunately we still have Dutch humor. This loss of language is felt in the work of Heidegger and we notice that your attention is drawn to this as well. But we have to take care. These are no practical questions but metaphysical ones. Dutch 4PT has to deal with the loss of language, as any 4PT has. Heidegger himself later called Sein und Zeit the most old-fashioned book ever written. We believe that in the way our economically driven political speech develops, we experience that in Dutch ‘ de wal het schip keert’ , meaning literally that the shore is the only thing that can stop the ship. We are caught up in a form of management. The thought of an Eurasian continent as a mediator between the Atlantic and the Asian might for a Dutch metaphysician be felt as the relieve of a burden. Heidegger saw his own mission in preparing European thinking for a confrontation with the East. 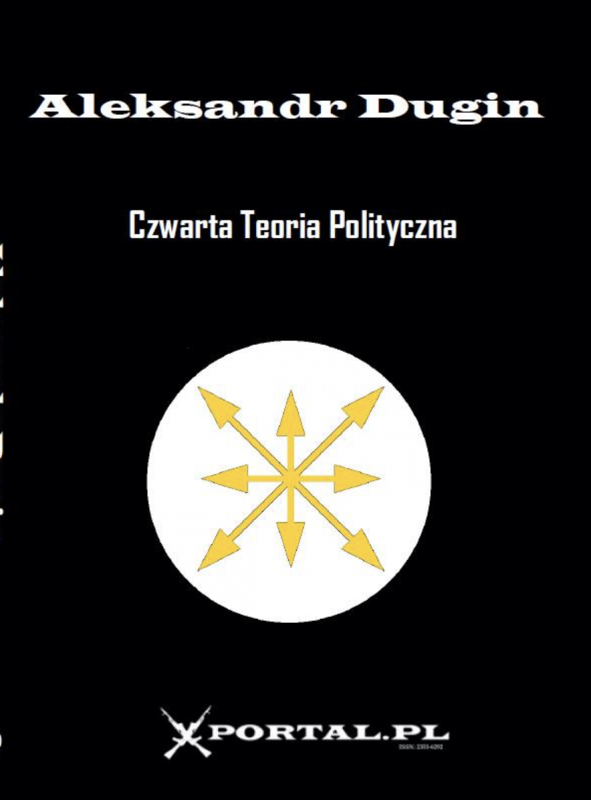 Bringing the geopolitical question back in the philosophical and political agendas means also the necessity of posing the question of the relation between the two. After all the question of politics is again the Schmittian question of friend or foe. When we would be so bold to identify the foe with the antichrist, Heideggers remark in the black notebooks spring to mind: ‘In relation to liberalism the antichrist is a small boy’ . To work on a new political theory is a matter of great importance, but also a thing that requires great care. Perhaps this care, Sorge, for Heidegger in Sein und Zeit the unity of Dasein, is the driving force itself. Whatever the matter at hand when contriving a new political theory, we have learned from history that in pre-historic wandering people the need has grown for a directed force (Vermögen, not Kraft, from mögen, lieben). In myth, philosophy, religion and science, people found guidance towards their ‘own’. It culminated in the Greek polis, whence politics. Holy names (sic the German poet Holderlin) did not fail there. When rational politics took over and holy names did fail, a man called Heidegger found this force in thinking, das Denken. For him this has been ‘Denken als das Denken des Seins’. In the end he gave this up and called ‘das Sein ein Vermächtnis, a legacy. Can it be this for us too, we ask you? And if so, what if we need to find a direction, a guiding force from there? The Greek fought and won their final battle with the oriental Persian empire but faded away when the directing force of their oracles, their Gods, could only be preserved in a strange new western empire. Socrates shut the door with apologies, Plato opened a new one. Their legacy came to us through Platonic philosophy, the Roman empire, The Christian Kingdom of God, theology and science. Nietzsche got the picture. Heidegger took great effort in naming the directed force we need. In the way to language, ‘der Weg zur Sprache’ he tried to find his way by formally indicating how language ‘itself’ is the directed force. We bracket ‘itself’ because language speaks for ‘itself’. Heidegger indicated how language ‘Sprache’ is itself ‘die Zeige’, poorly translated as ‘the showing’. It would be interesting to hear any Russian attempt at translating this word. When we use language as a means at hand, it loses this force and becomes a victim of technology, logos as a victim of techne. To find in technology, ‘das Wesen der Technik’, a possibility for a directing event that would call a people into his own (Er-eignis) would be a great effort for any future thinking of any ‘political’ event. Still, you deserve the credits to make a serious attempt, and we are intrigued by the way you bring the forces of your Russian language in play. 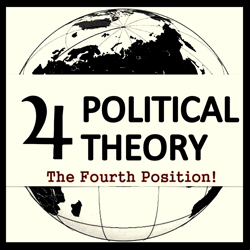 The 4PT has a boldness that cannot fail to charm anyone who is bothered by the ways of the world and what Heidegger called ‘the legacy of Being’. If we take the word theory at its root, inventing a fourth political theory would call for no less then ‘re-inventing theory itself’. Alas in the political and ‘philosophical’ debates of the time we find not much more than practical questions, if it all questions, from a political, an economical or a religious point of view. Taken as such they are apolitical, uneconomical and blasphemous. In a word: liberal. We read from your books that you take this matters seriously finding your way in a language which does not shy away, neither from the political, nor from the philosophical abysses that rise up for anyone trying. Perhaps it is already a step forward to get into the abyss that splits the philosophical from the political. Being a monster to oneself, your credit of the Russian soul, can take many shapes, be it in wars, poems, prisons, mental institutes and just lonely nights. The late Heidegger called for it: ‘man muss sich in den Brunnentiefe hinablassen’. So the abyss, when taking great care of the paths things take, may be a well from which thoughts arise. May our talks be such a well.